One of our alpacas imported from Peru. 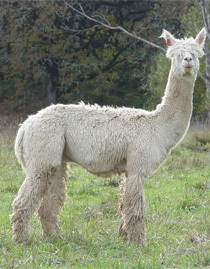 The Alpaca has a rich and storied past. 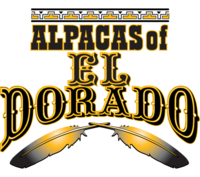 Starting at a position ofworship by the Incan civilization to near extinction at the hands ofthe Conquistadors and then landing in an enviable place in today'slivestock business, the alpaca has existed alongside man for over 5,000years. The articles in this section bring this history to light. 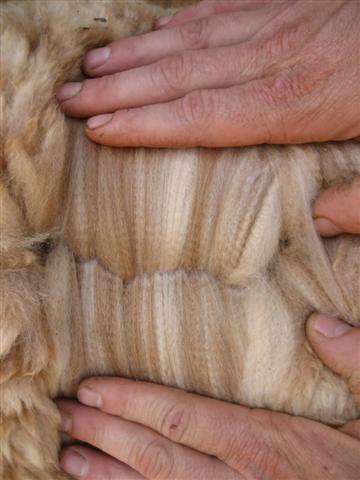 Once alpaca fleece is in the bag, what is it worth? The textilemanufacturer could not care less whether the fleece available for salecame from a prize winning stud or the herd's ugly duckling.Understanding what qualities the buyer desires most is the key togetting maximum value from alpaca fiber production. 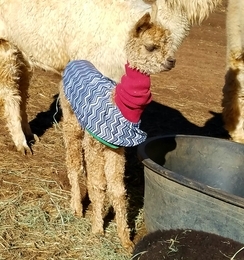 Alpacas are easy to transport. 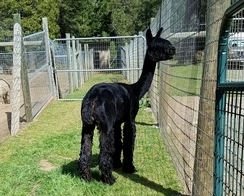 Transport can be done in a mini-van forone or two alpacas, or in larger livestock and horse trailers. Alpaca husbandry is the management and daily care of your alpacas. Alpacas are typically shorn once a year. 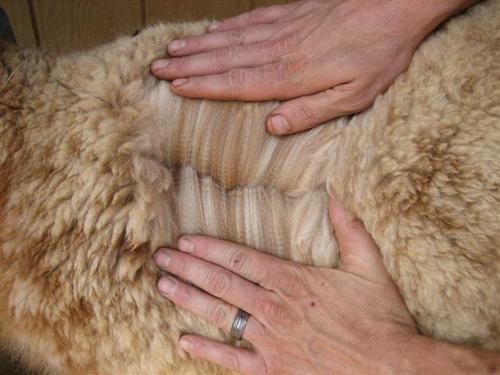 Each alpaca will produce between 6 and 12 pounds of wonderful fleece. Showing is a great opportunity to market your breeding program. It isalso a terrific networking environment that lets you keep in touch withother breeders and learn what new things are happening in the industry.